III. 1. The Church as a divine-human organism has not only a mysterious nature not submissive to the elements of the world, but also a historical component which comes in touch with the outside world including state. The state, which exists for the purpose of ordering worldly life, also comes into contact with the Church. Relationships between state and the followers of genuine religion have continuously changed in the course of history. The family represented the initial cell of human society. The holy history of the Old Testament shows that the state was not formed at once. The Old Testament people had no state before Joseph’s brothers went to Egypt. State was gradually formed in the epoch of the Judges. As a result of a complex historical development guided by Divine Providence, the complication of social relations led to the emergence of the state. In ancient Israel before the period of Kings, there was genuine theocracy, i. e. the rule of God, which proved to be unique in history. However, as society moved away from obedience to God as the organiser of worldly affairs, people began to think about the need to have a worldly ruler. The Lord, while accepting the people’s choice and authorising the new form of government, regrets their rejection of divine rule. «And the Lord said unto Samuel. Hearken unto the voice of the people in all that they say unto thee: for they have not rejected thee, but they have rejected me, that I should not reign over them… Now therefore hearken unto their voice: howbeit solemnly unto them, and shew them the manner of the king that shall reign over them» (1 Sam. 8:7, 9). Thus, the emergence of the temporal state should not be understood as a reality originally established by God. It was rather God’s granting human being an opportunity to order their social life by their own free will, so that this order as a response to the earthly reality distorted by sin, could help avoid a greater sin through opposing it by means of temporal power. At the same time, the Lord says clearly through Samuel’s mouth that He expects this power to be faithful to His commandments and to do good works: «Now therefore behold the king ye have chosen, and whom ye have desired! and, behold, the Lord hath set a king over you. If ye will fear the Lord, and serve him, and obey his voice, and not rebel against the commandment of the Lord, then shall both ye continue following the Lord our God. But if ye will not obey the voice of the Lord, but rebel against the commandment of the Lord, then shall the hand of the Lord be against you, as it was against your fathers» (1 Sam. 12:13-15). When Saul violated the Lord’s commandment, God rejected him (1 Sam. 16:1) and ordered him to anoint His other chosen one, David, a son of the commoner Jesse. The Son of God Who reigns over heaven and earth (Mt. 28:18) through becoming man subjected Himself to the worldly order of things, obeying also the bearers of state power. To His crusifier, Pilate, the Roman procurator in Jerusalem, He said, «Thou couldest have no power at all against me, except it were given thee from above» (Jn. 19:11). The Savoir gave this answer to the tempting question of a Pharisee about whether it is permissible to pay tribute to Caesar: «Render unto Caesar the things which are Caesar’s» (Mt. 22:21). Explaining the teaching of Christ on the right attitude to state power, St. Paul wrote: «Let every soul be subject unto the higher powers. For there is no power but of God: the powers that be are ordained of God. Whosoever therefore resisteth the power, resisteth the ordinance of God; and they that resist shall receive to themselves damnation. For rulers are not a terror to good works, but to the evil. Wilt thou them not be afraid of the power? do that which is good, and thou shalt have praise of the same: for he is the minister of God to thee for good. But if thou do that which is evil, be afraid; for he beareth not the sword in vain: for he is the minister of God, a revenger to execute wrath upon him that doeth evil. Wherefore ye must needs be subject, not only for wrath, but also for conscience sake. For this cause pay ye tribute also: for they are God’s ministers, attending continually upon this very thing. Render therefore to all their dues: tribute to whom tribute is due; custom to whom custom; fear to whom fear; honour to whom honour» (Rom. 13:1-7). The same idea was expressed by St. Peter: «Submit yourselves to every ordinance of man for the Lord’s sake: whether it be to the king, as supreme; or unto governors, as unto them that are sent for the praise of them that do well. For so is the will of God, that with well doing ye may put to silence the ignorance of foolish men: as free, and not using your liberty for a cloke of maliciousness, but as he servants of God» (1 Pet. 2:13-16). The apostles taught Christians to obey the authorities regardless of their attitude to the Church. In the apostolic era, the Church of Christ was persecuted both by the Jewish and Roman State authorities. This did not prevent the martyrs and other Christians of that time from praying for prosecutors and recognising their power. III. 2. The fall of Adam brought to the world sins and vices which needed public opposition. The first of them was the murder of Cain by Abel (Gen. 4:1-16). Aware of this, people in all known societies began to establish laws restricting evil and supporting good. For the Old Testament people, God Himself was the Lawmaker Who gave rules to regulate not only religious life proper but also public life (Ex. 20-23). God blesses the state as an essential element of life in the world distorted by sin, in which both the individual and society need to be protected from the dangerous manifestations of sin. At the same time, the need for the state aroused not because God willed it for the primitive Adam, but because of the fall and because the actions to restrict the dominion of sin over the world conformed to His will. Holy Scriptures calls upon powers that be to use the power of state for restricting evil and supporting good, in which it sees the moral meaning of the existence of state (Rom. 13:3-4). It follows from the above that anarchy is the absence of proper order in a state and society, while calls to it and attempts to introduce it run contrary to the Christian outlook (Rom. 13:2). The Church not only prescribes for her children to obey state power regardless of the convictions and faith of its bearers, but also prays for it, «that we may lead a quiet and peaceable life in all godliness and honesty» (1 Tim. 2:2). At the same time, Christians should avoid attempts to make it absolute and failure to recognise the limits of its purely earthly, temporal and transient value conditioned by the presence of sin in the world and the need to restrain it. According to the teaching of the Church, power itself has no right to make itself absolute by extending its limits up to complete autonomy from God and from the order of things established by Him. This can lead to the abuse of power and even to the deification of rulers. The state, just as other human institutions, even if aimed at the good, may tend to transform into a self-sufficing institute. Numerous historical examples of such a transformation show that in this case the state loses its true purpose. III. 3. In church-state relations, the difference in their natures should be taken into account. The Church has been founded by God Himself, our Lord Jesus Christ, while the God-instituted nature of state power is revealed in historical process only indirectly. The goal of the Church is the eternal salvation of people, while the goal of state is their well-being on earth. «My kingdom is not of this world», says the Saviour (Jn. 18:36). «This world» is only partly obedient to God, but for the most part it seeks to become autonomous from its own Creator and Lord. To the extent the world disobeys God it obeys «the father of lie» and «lieth in wickedness» (Jn. 8:44; 1 Jn. 5:19). But the Church as «the body of Christ» (1 Cor. 12:27) and «the pillar and ground of the truth» (1 Tim. 3:15), in her mysterious essence can have no evil in herself, nor any shadow of darkness. Since state is part of «this world», it has no part in the Kingdom of God, for where there is Christ «all in all» (Col. 3:11) there is no room for coercion, nor is there opposition between the human and the divine, hence there is no state. In the contemporary world, state is normally secular and not bound by any religious commitments. Its co-operation with the Church is limited to several areas and based on mutual non-interference into each other’s affairs. However, the state is aware as a rule that earthly well-being is unthinkable without respect for certain moral norms — the norms which are also essential for the eternal salvation of man. Therefore, the tasks and work of the Church and the state may coincide not only in seeking purely earthly welfare, but also in the fulfilment of the salvific mission of the Church. The principle of the secular state cannot be understood as implying that religion should be radically forced out of all the spheres of the people’s life, that religious associations should be debarred from decision-making on socially significant problems and deprived of the right to evaluate the actions of the authorities. This principles presupposes only a certain division of domains between church and state and their non-interference into each other’s affairs. The Church should not assume the prerogatives of the state, such as resistance to sin by force, use of temporal authoritative powers and assumption of the governmental functions which presuppose coercion or restriction. At the same time, the Church may request or urge the government to exercise power in particular cases, yet the decision rests with the state. The state should not interfere in the life of the Church or her government, doctrine, liturgical life, counselling, etc., or the work of canonical church institutions in general, except for those aspects where the Church is supposed to operate as a legal identity obliged to enter into certain relations with the state, its legislation and governmental agencies. The Church expects that the state will respect her canonical norms and other internal statutes. III. 4. Various models of relationships between the Orthodox Church and the state have developed in the course of history. The Orthodox tradition has developed an explicit ideal of church-state relations. Since church-state relations are two-way traffic, the above-mentioned ideal could emerge in history only in a state that recognises the Orthodox Church as the greatest people’s shrine, in other words, only in an Orthodox state. Attempts to work out this form were undertaken in Byzantium, where the principles of church-state relations were expressed in the canons and the laws of the empire and were reflected in patristic writings. In their totality these principles were described as symphony between church and state. It is essentially co-operation, mutual support and mutual responsibility without one’s side intruding into the exclusive domain of the other. The bishop obeys the government as a subject, not his episcopal power comes from a government official. Similarly, a government official obeys his bishop as a member of the Church, who seeks salvation in it, not because his power comes from the power of the bishop. The state in such symphonic relationships with the Church seeks her spiritual support, prayer for itself and blessing upon its work to achieve the goal of its citizens’ welfare, while the Church enjoys support from the state in creating conditions favourable for preaching and for the spiritual care of her children who are at the same time citizens of the state. St. Justinian in his Sixth Novella formulates the principle lying in the basis of church-state symphony: «The greatest blessings granted to human beings by God’s ultimate grace are priesthood and kingdom, the former (priesthood, church authority) taking care of divine affairs, while the latter (kingdom, government) guiding and taking care of human affairs, and both, come from the same source, embellishing human life. Therefore, nothing lies so heavy on the hearts of kings as the honour of priests, who on their part serve them, praying continuously for them to God. And if the priesthood is well ordered in everything and is pleasing to God, then there will be full harmony between them in every thing that serves the good and benefit of the human race. Therefore, we exert the greatest possible effort to guard the true dogmas of God and the honour of the priesthood, hoping to receive through it great blessings from God and to hold fast to the ones which we have». Guided by this norm, Emperor Justinian in his Novellas recognised the canons as having the power of state laws. The classical Byzantine formula of relationships between state and church power is contained in the Epanagoge (later 9th century): «The temporal power and the priesthood relate to each other as body and soul; they are necessary for state order just as body and soul are necessary in a living man. It is in their linkage and harmony that the well-being of a state lies». This symphony, however, did not exist in Byzantium in an absolutely pure form. In practice it was often violated and distorted. The Church was repeatedly subjected to caesarean-papist claims from the state authorities, which were essentially the demands that the head of the state, the emperor, should have the decisive say in ordering church affairs. Along with the sinful human love of power, these claims had also a historical reason. The Christian emperors of Byzantium were direct successors of the Roman pagan rulers who, among their numerous titles, had that of pontifex maximus, chief priest. The caesarean-papist tendency manifested itself most bluntly and dangerously for the Church in the policy of heretical emperors, especially in the iconoclastic era. Unlike Byzantine basileuses, Russian tsars had a different legacy. For this and other historical reasons, relationship between the church and the state authorities was more harmonious in Russian antiquity. However, there were also deviations from the canonical norms (under Ivan the Terrible and in the confrontation between Tsar Alexis Mikhailovich and Patriarch Nikon). As far as the Synodal period is concerned, the evident distortion of the symphonic norm for two centuries in church history is associated with the distinct impact that the Protestant doctrine of territory and established church (see below) made on the Russian perception of law and order and political life. An attempt to assert the ideal of symphony in the new situation when the empire collapsed was made by the Local Council of 1917-1918. In the declaration that preceded the Action on Church-State Relations, the demand to separate church and state was likened to the wish that «the sun should not shine and fire should not warm up. The Church, by the internal law of her being, cannot renounce her calling to enlighten, to transform the whole human life, to imbue it with her rays». In the resolution of the Council on the legal status of the Orthodox Church of Russia, the state is called upon to accept, in particular, these provisions: «the Russian Orthodox Church, being part of the one Universal Church of Christ, shall have the pre-eminent public and legal status among other confessions in the Russian State, which befits her as the greatest shrine for the overwhelming majority of the population and a great historical force that built the Russian State… As soon as they are made public, decrees and statutes issued the Orthodox Church for herself in the order established by herself, as well as deeds of the church government and court shall be recognised by the State as legally valid and important unless they violate state laws… State laws concerning the Orthodox Church shall be issued only with the consent of the church authorities». Subsequent Local Councils were held in situations when history made it impossible to return to the pre-Revolutionary principles of church-state relations. Nevertheless, the Church asserted her traditional role in the life of society and expressed readiness to work in social field. Thus, the 1990 Local Council stated: «Throughout her millennium-long history the Russian Orthodox Church educated the faithful in the spirit of patriotism and love of peace. Patriotism is manifested in the concern for the historical heritage of the Fatherland, in active civil position by sharing the joys and hardships of her people, in zealous and conscientious work and in concern for the moral state of society and for the preservation of nature» (from the Message of the Council). In the European medieval West, a doctrine of «two swords» was formed not without influence by the work of St. Augustine entitled «On the City of God». According to it, both church and state power, the former directly, the latter indirectly, go back to the Bishop of Rome. Popes were absolute monarchs ruling over the Papal States, a part of Italy, the remnant of which is what is the Vatican today. Many bishops, especially in feudally divided Germany were princes with state-like jurisdiction over their territories, with their own governments and armies of which they were leaders. The Reformation left no ground for the popes and Catholic bishops to preserve their power in the territories of countries which became Protestant. In the 17th-19th centuries, the legal conditions in Catholic countries also changed so much that the Catholic Church was in fact removed from government. Along with the Vatican, however, the doctrine of «two swords» helped to retain the practice of concluding agreements in the form of concordats between the Roman Curia and states in which there were Catholic communities. Due to this, the legal status of these communities was determined in many countries not only by internal laws, but also by the law regulating international relations, to which the Vatican State was subject. In the countries where the Reformation triumphed and later in some Catholic countries, the territorial principle was established in church-state relations, giving to state full sovereignty over a territory and the religious communities found in it. This system of relations was expressed in the phrase cujus est regio, illius est religio (the religion of the sovereign is the religion of the country). If realised consistently, this system implies that those whose faith is different from that of the bearers of the highest state power should be banished from the state (a practice realised more than once). In real life, however, this principle gained a foothold in a softer form described as the established church. It gives to the majority religious community, to which the sovereign belongs and which he officially heads, the privileges of the state Church. A combination of this system of church-state relations with remnants of the traditional symphony inherited from Byzantium determined the peculiarity of the legal status of the Orthodox Church in the Synodal period in Russia. In the United State of America where there have been a multiconfessional state from the outset, the principle of radical separation of Church and State has been established, whereby the power system is neutral to all confessions. However, absolute neutrality is hardly feasible at all. Every state has to reckon with the real religious composition of its population. No Christian denomination taken separately makes up a majority in the United States, yet the decisive majority of US people are precisely Christians. This reality is reflected, in particular, in the fact that the president takes the oath of office on the Bible, Sundays are official days off, etc. The principle of church-state separation, however, also has another genealogy. In the European continent it has resulted from the anticlerical or outright anti-church struggle well known, in particular, from the history of the French Revolutions. In these cases, the Church is separated from State not because of the multiconfessionalism of the population, but because the State identifies itself with a particular anti-Christian or altogether anti-religious ideology, making it pointless to speak about its neutrality towards religion and even its purely secular nature. For the Church, it normally means restrictions, limited rights, discrimination or outright persecution. The history of the 20th century has given many examples of this attitude of State towards religion and Church in various countries of the world. There is also a form of church-state relations, intermediate between the established church and the radical separation of Church from State whereby the Church has the status of a private corporation. It is the status of the Church as a legal public corporation. In this case, the Church can have some privileges and obligations delegated to her by the state without being the Established Church in the proper sense of this word. Today a number of countries, such as Great Britain, Finland, Norway, Denmark, Greece, still have Established Churches. Other states, which increasingly grow in number (USA, France), build their relations with religious communities on the basis of full separation. In Germany, the Catholic, Evangelical and some other Churches have the status of legal public corporations, while other religious communities are fully separated from state and regarded as private corporations. In practice, however, the real status of religious communities in most of these countries depend little on whether they are separated or not from the state. In some countries where Churches have retained the public status, it has been reduced to collecting taxes for their upkeep by the public fiscal administration and recognising church baptism and marriage records as valid legally as civil status certificates registered by public administrative bodies. Today the Orthodox Church performs her service of God and people in various countries. In some of them she represents the nation-wide confession (Greece, Rumania, Bulgaria), while in others, which are multinational, the religion of the ethnic majority (Russia). In still other countries, those who belong to the Orthodox Church comprise a religious minority surrounded by either heterodox Christians (Finland, Poland, USA) or people of other religions (Japan, Syria, Turkey). In some small countries the Orthodox Church has the status of the state religion (Cyprus, Greece, Finland), while in other countries it is separated from state. There are also differences in the concrete legal and political contexts in which the Local Orthodox Churches live. They all, however, build both their internal order and relations with the government on the commandments of Christ, teaching of the apostles, holy canons and two-thousand-year-long historical experience and in may situation find an opportunity to pursue their God-commanded goals, thus revealing their other-worldly nature, their heavenly, divine, origin. III. 5. Given their different natures, Church and State use different means for attaining their goals. The state relies basically on material power including coercion and on respective secular ideological systems, whereas the Church has at her disposal religious and moral means to give spiritual guidance to the flock and to attract new children. The Church infallibly preaches the Truth of Christ and teaches moral commandments which came from God Himself. Therefore, she has no power to change anything in her teaching. Nor has she the power to fall silent and to stop preaching the truth whatever other teachings may be prescribed or propagated by state bodies. In this respect, the Church is absolutely free from the state. For the sake of the unhindered and internally free preaching of the truth, the Church suffered persecution by the enemies of Christ not once on history. But the persecuted Church is also called to endure the persecution with patience, without refusing to be loyal to the state persecuting her. Legal sovereignty in the territory of a state belongs to its authorities. Therefore, it is they who determine the legal status of a Local Church or her part, either giving her an opportunity for the unhampered fulfilment of church mission or restricting this opportunity. Thus, state power makes judgement on itself and eventually foretells its fate. The Church remains loyal to the state, but God’s commandment to fulfil the task of salvation in any situation and under any circumstances is above this loyalty. If the authority forces Orthodox believers to apostatise from Christ and His Church and to commit sinful and spiritually harmful actions, the Church should refuse to obey the state. The Christian, following the will of his conscience, can refuse to fulfil the commands of state forcing him into a grave sin. If the Church and her holy authorities find it impossible to obey state laws and orders, after a due consideration of the problem, they may take the following action: enter into direct dialogue with authority on the problem, call upon the people to use the democratic mechanisms to change the legislation or review the authority’s decision, apply to international bodies and the world public opinion and appeal to her faithful for peaceful civil disobedience. III. 6. The principle of the freedom of conscience, which emerged as a legal notion in the 18th-19th centuries, has become a fundamental principle of interpersonal relations only after World War I. It was confirmed by the Universal Declaration of Human Rights and included in the constitutions of most states. The emergence of this principle testifies that in the contemporary world, religion is turning from a «social» into a «private» affair of a person. This process in itself indicates that the spiritual value system has disintegrated and that most people in a society which affirms the freedom of conscience no longer aspire for salvation. If initially the state emerged as an instrument of asserting divine law in society, the freedom of conscience has ultimately turned state in an exclusively temporal institute with no religious commitments. The adoption of the freedom of conscience as legal principle points to the fact that society has lost religious goals and values and become massively apostate and actually indifferent to the task of the Church and to the overcoming of sin. However, this principle has proved to be one of the means of the Church’s existence in the non-religious world, enabling her to enjoy a legal status in secular state and independence from those in society who believe differently or do not believe at all. The religio-ideological neutrality of the state does not contradict the Christian idea of the Church’s calling in society. The Church, however, should point out to the state that it is inadmissible to propagate such convictions or actions which may result in total control over a person’s life, convictions and relations with other people, as well as erosion in personal, family or public morality, insult of religious feelings, damage to the cultural and spiritual identity of the people and threats to the sacred gift of life. In implementing her social, charitable, educational and other socially significant projects, the Church may rely on the support and assistance of the state. She also has the right to expect that state, in building its relations with religious bodies, will take into account the number of their followers and the place the occupy in forming the historical, cultural and spiritual image of the people and their civic stand. III. 7. The form and methods of government is conditioned in many ways by the spiritual and moral condition of society. Aware of this, the Church accepts the people’s choice or does not resist it at least. Under the Judges’ rule, the public system described in the Book of Judges, power acted not through coercion, but authority, which was sanctioned by God. For this authority to be effective, the faith in society should be very strong. Under monarchy, power remains God-given, but for its exercise it uses not so much spiritual authority as coercion. The shift from the judges’ rule to monarchy indicated the weakening faith — the fact that caused the need to replace the King Invisible by the king visible. Contemporary democracies, including those monarchic in form, do not seek the divine sanction of power. They represent the form of government in secular society that presupposes the right of every able-bodied citizen to express his will through elections. Any change in the form of government to that more religiously rooted, introduced without spiritualising society itself, will inevitably degenerate into falsehood and hypocrisy and make this form weak and valueless in the eyes of the people. However, one cannot altogether exclude the possibility of such a spiritual revival of society as to make natural a religiously higher form of government. But under slavery one should follow St. Paul advice: «if thou mayest be free, use it rather» (1 Cor. 7:21). At the same time, the Church should give more attention not to the system of the outer organisation of state, but to the inner condition of her members’ hearts. Therefore, the Church does not believe it possible for her to become an initiator of any change in the form of government. Along the same line, the 1994 Bishops’ Council of the Russian Orthodox Church stressed the soundness of the attitude whereby «the Church does not give preference to any social system or any of the existing political doctrines». III. 8. The state, including the secular state, is normally aware if its calling to build the life of the people on the principles of good and justice, taking care of both the material and spiritual welfare of society. Therefore, the Church can cooperate with the state in affairs which benefit the Church herself, as well as the individual and society. For the Church this co-operation should be part of her salvific mission, which embraces comprehensively the concern for man. The Church is called to take part in building human life in all spheres where it is possible and, in doing so, to join efforts with representatives of the secular authority. Church-state co-operation should be realised on the following conditions: the Church’s participation in the work of the state is correspondent to her nature and calling; the state does exercise dictate in the Church’s social work; and the Church is not involved in the spheres of public activity where her work is impossible for canonical and other reasons. p)opposition to the work of pseudo-religious structures presenting a threat to the individual and society. Church-state co-operation is also possible in some other areas if it contributes to the fulfilment of the tasks enumerated above. c)direct participation in intelligence and any other activity that demands secrecy by law even in making one’s confession or reporting to the church authorities. Among the traditional areas of the social efforts of the Orthodox Church is intercession with the government for the needs of the people, the rights and concerns of individual citizens or social groups. This intercession is a duty of the Church, realised through verbal or written interventions by appropriate church bodies with the governmental bodies of various branches and levels. III. 9. In the contemporary state, power is normally divided into the legislative, executive and judicial branches and the national, regional and local levels. This determines the specificity of the Church’s relations with the authorities of various branches and levels. Relations with the legislative power consist in dialogue between the Church and the legislators on the improvement of the national and local law pertaining to the life of the Church, church-state co-operation and the spheres of the Church’s social concern. This dialogue also concerns the resolutions and decisions of the legislative power which have no direct bearing on legislation. In contacts with the executive power, the Church should conduct dialogue on making decisions pertaining to the life of the Church, church-state co-operation and the spheres of the Church’s social concern. To this end, the Church maintains contacts on the respective level with central and local executive power bodies, including those responsible for solving practical problems in the life and work of religious associations and those responsible for monitoring the observance of law (organs of justice, prosecution, interior) by the above-mentioned bodies. The Church’s relationships with the judiciary on various levels should be limited to the representation, if necessary, of her interest in court. The Church does not interfere in the judicial authority’s exercise of its functions and powers. Except for absolute necessity, the interests of the Church are represented in court by lay people empowered by the church authorities on the respective level (Chalced. 9). Internal church disputes should not be brought out to secular court(Antioch. 12). Interconfessional conflicts and conflicts with schismatics which do not touch upon doctrinal matters can be brought to secular court (Carth. 59). III. 10. The holy canons forbid the clergy to approach the government without permission from the church superiors. Thus, Canon 11 of the Council of Sardica reads: «If any bishop or presbyter or generally any one of the clergy dare go to the ruler without permission and credentials from the bishop of the province and even more so from the bishop of the metropolis, let he be suspended and deprived of not only communion but also the dignity he enjoyed… If an urgent necessity makes one go to the ruler, let he do this with consideration and permission of the bishop of the metropolis and other bishops of that province and let he be sent with credentials from them». The Church’s contacts and co-operation with the highest state authorities are carried out by the Patriarch and the Holy Synod directly or through representatives who have powers confirmed in writing. Her contacts and co-operation with the regional governments are carried out by diocesan bishops or through representatives who also have powers confirmed in writing. Her contacts and co-operation with the local authorities and self-government bodies are carried out by deaneries and parishes with the blessing of their diocesan bishops. The representatives of the church supreme authorities empowered to maintain contacts with the governmental bodies may be appointed both on the permanent and ad hoc basis. If a matter considered previously on the local or regional level is referred to the highest governmental bodies, the diocesan bishop notifies the Patriarch and the Holy Synod about it and asks them to keep in contact with the state in further consideration of this matter. If a legal case is transferred from a local or regional to the highest level, the diocesan bishop should make a written report to the Patriarch and the Holy Synod about the earlier court examination. Those presiding over self-governed church districts and the administrators of dioceses in particular states have a special blessing from the Patriarch and the Holy Synod to maintain contacts with the leaders of these states. III. 11. To avoid any confusion of church and state affairs and to prevent the church authority from acquiring temporal nature, the canons prohibit the clergy from participating in the affairs of state government. 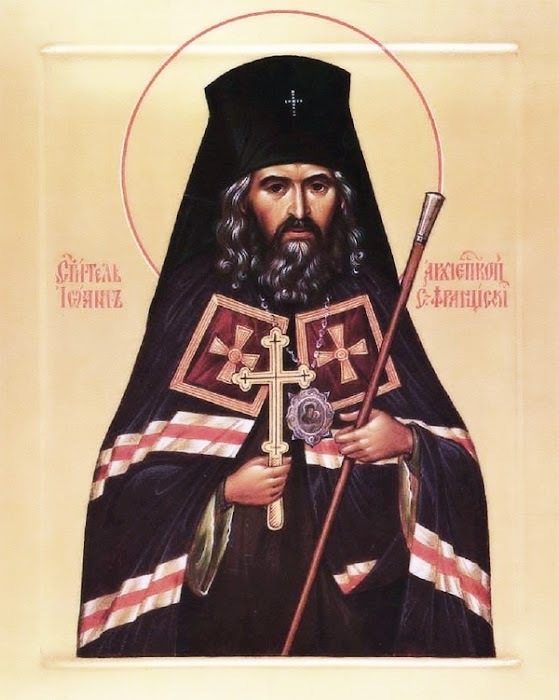 Apostolic Canon 81 reads: «It does not befit a bishop or a presbyter to go into the affairs of the people’s government, but to be always engaged in the affairs of the Church». Apostolic Canon 6 and Canon 10 of the Seventh Ecumenical Council speak of the same. In the contemporary context, these provisions apply not only to administration but also participation in the representative bodies of power (see, V. 2).